Today I will share with you my online shopping experience with Double-woot. Most of the dresses are below RM50. So, you may consider visiting their site. I was introduced to their online store by a friend. 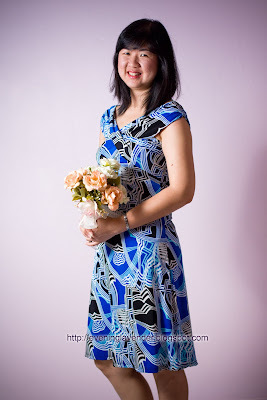 One of the owner of Double-woot is Heliene Tan. She is a very friendly lady, you can enquire about their dresses via email. Just click here to see what they have. Their dresses are usually sold off within the same day or few days after they are posted on their site. So, if you plan to buy from them, you have to send in your order within the same day. Sometimes, I saw the dress in the morning and in the evening all are sold off. So you have to be fast in order to grab them. This is my favorite dress bought from Double-Woot. Only RM46. The following are some nice dresses. Images are taken with permission from Double-woot.com. So ladies, if you are looking for dresses for this coming new year party, do visit Double-Woot.com. nice dress, wah become model already ah! thanks for complement. Yes, you have to be fast. U can sign up for the update so u can be notified of new dresses. nice dress :) and i think the price is quite reasonable! Yes the price is reasonable.